The newly relocated World Rugby Museum at Twickenham Stadium, in London, will open in February 2018 with a new educational offering. The museum was formerly opened as The Museum of Rugby back in 1996. It became the World Rugby Museum in 2007, and has now relocated to the East Stand to become a brand-new experience. During the experience, schools are invited to explore Twickenham Stadium with a rugby expert and journey through rugby history in the brand-new World Rugby Museum. School groups will be able to take a tour of the stadium with an accompanying workshop or seminar. 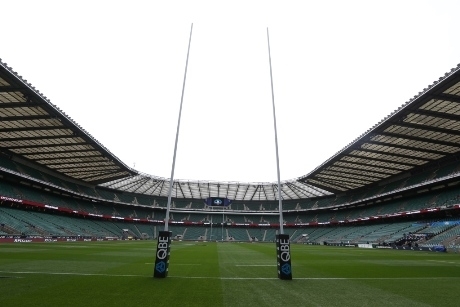 The workshops and seminars will provide hands-on learning experiences for pupils and give them the opportunity to learn more about the sport, from its history, to the rules of the games, and learn the ins and outs of the Rugby Football union and Twickenham Stadium. The tours will give students a behind-the-scenes look at how things are run. Highlights will includes seeing the dressing rooms, pitch side and player’s tunnel. Alternative topics to look at will be architecture, interior design, painting, sculpture and even photography, with bespoke tours. When visiting the museum, pupils can learn about Rugby’s story – how a game from Rugby School evolved into what is described as “the world’s greatest team sport”. In the International Gallery, you will be able to discover all about the history of the Six Nations, Rugby Championship and the Rugby World Cup. You will also find out more about playing, coaching, volunteering or refereeing in the Play Rugby Zone. In this zone you will also be able to test out your playing skill in the interactive area. Teachers can benefit from a free familiarisation trip. School discounts are available. Teachers can contact museum@rfu.com or 020 8892 8877 for more details on booking a visit. For more information, visit www.englandrugby.com/twickenham/world-rugby-museum.